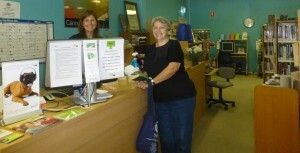 Saying it with flowers….Canowindra Library’s new Branch Officer Rossanne enjoyed a surprise visit by Central West Libraries Manager Jan Richards today. With flowers in hand, Jan welcomed Rossanne and congratulated her on the new role. 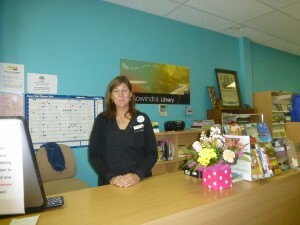 Rossanne is already a familiar face around town having worked part time at the Library for the past ten years as well as at Canowindra High School. Welcome Rossanne!